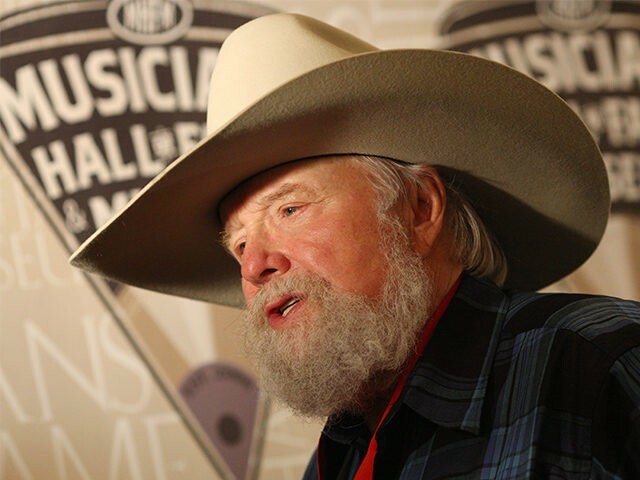 Charlie Daniels says while he is a “dyed in the wool football fan,” he suspects the NFL “has reached a tipping point,” as more Americans are expressing their disapproval of players protesting the national anthem. In a ceremony that many times involves a military color guard, a flyover or some other symbol of our military, disrespecting the flag, the banner they fought under and the anthem that was played when they were sent off to war, cuts deep in the veteran population. Daniels admits that he is ambivalent about whether the “highest office in the land” is the “proper venue for the airing out of such a divisive issue.” Nevertheless, he sees it all coming to a head, particularly in light of a CBS Sports report last year that observed two polls found a majority of Americans disagreed with Colin Kaepernick’s kneeling during the national anthem as a form of protest. In another poll, which was conducted by SurveyMonkey, 44 percent of people said they are “not supportive at all of Kaepernick’s protest.” Another 29 percent said they did support it and the rest were unsure. The upshot will probably not be the “killing of the golden goose,” but could well result in the severe wounding as a significant portion of NFL revenue comes from television. If ratings fall enough for these networks – since they are in it for the money, no matter how sympathetic they may appear – and they find they can make more by dropping professional football and broadcasting a tiddlywinks tournament, they will do so. This isn’t about protesting racism, police misconduct or anything of the sort. What we’re observing is potentially one of the greatest red herrings in the history of American political scams … What we’re seeing is an almost brilliant and concerted effort to damage, if not eliminate, the National Football League. [T]he activist Left has despised the NFL for years. They hate everything about it. It’s a game filled with big, tough, manly men engaging in the closest thing to warfare you can manage without guns. It’s a game rife with symbolism and, yes… nationalism. Even people who would never buy an album from a country singer could feel their blood heating up when Hank Williams used to sing, Are you Ready for Some Football. The military loves football and they fly jets over the stadiums in formation and send our nation’s finest out to pay tribute. And it’s not just the military. Our police and other first responders are frequently called out for honors at the games. Everything about it screams of apple pie, fireworks and patriotism. (Or, if you prefer, God, guns and flags.) And the activist Left hates it. Probably the only sporting event they despise more is NASCAR. Several owners of NASCAR teams, of course, have already backed President Donald Trump’s suggestion that NFL players who protest the national anthem should be fired. The sense that the NFL has crossed a line and cannot turn back is more palpable than ever, worries Daniels. “[E]ven a football junkie like me has to wonder if the NFL has reached a tipping point, an over saturation, such a ready availability that any novel appeal has been rubbed off and that the broadcaster’s foray into political and social comment is an irritating pill to swallow,” he says.